Following completion of his formal surgical training, Dr. Mayfield has continued to grow as a plastic surgeon and advance his knowledge and expertise by participating in accredited national and international plastic surgery meetings and continuing medical education (CME) courses as well as vigorous self-study pursuits. During each and every three-year cycle since 1990, he has significantly exceeded the minimum continuing medical education requirements to maintain active membership in the American Society of Plastic Surgeons. 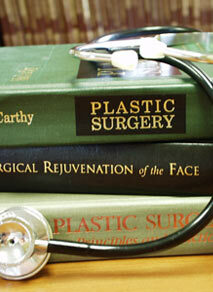 Dr. Mayfield has also regularly received the Physician's Recognition Award from the American Medical Association. The AMA Physician's Recognition Award recognizes physicians who demonstrate their commitment to staying current with advances in medicine by participating in a prescribed number of certified CME activities.